At AMV, we believe in building relationships with our old, current and future guests, because it is important to us, to personalize your experience in our Luxury villas in Mykonos, the most renowned destination for summer holidays in Greece. We ask you to dream big, trust us and let us provide you with the most exclusive and luxurious holiday services, in the Island. We are passionate about your needs and committed to create unique, unforgettable experiences for you. Every single person in our team is a well-trained professional, ready to offer each of our guests the best services, with exceptional care and enthusiasm. Our team members collaborate extensively to create the best possible result to exceed your expectations. Long before the moment you arrive as our guests in Mykonos, we believe it is our responsibility to assist you in any way possible and make sure that your adventurous, relaxing and elegant journey will turn out to be one of the best experiences of your lives. Therefore, we treat every single guest with remarkable interest, as you deserve and we aim to captivate you with our unparallel hospitality that surpasses your expectations. A carefully curated portfolio with the most unique and high-standard Mykonos villas, is expecting you to select your ideal option for your next vacation. Throughout the years, we searched for the most enchanting villa options for our guests and we are proud to provide this carefully arranged portfolio, which will certainly fascinate you. Over 200 elite villas in Mykonos have been meticulously selected and thereby, offered for your exclusive vacation in the Cycladic Island. The beautiful Mykonos villas are carefully chosen, based on the high standards our guests require and we insist to provide. Therefore, every single villa is situated in the most desired and convenient locations around the island, to suit the needs of our villa residents. The villas are elegant and luxury, with private infinite swimming pools, close to the sea or near Chora (Town of Mykonos). All the villas possess a superb interior design, aligned with the boho-chic stylish culture of the island, the modern, minimalistic decoration principles and the unique Cycladic architectural exterior style. Additionally, every single Mykonos villa comes with an astonishing view of the island or the Aegean Sea. Back in 2009, it was probably our passion for exchanging cultures, our instinctive hospitality and our adoration for the Island of Mykonos that impelled us to establish the AMV Company. Since then, we excelled in acquiring an astonishing portfolio of exclusive villas in Mykonos, many of which we exclusively manage and provide to our guests during their holidays. Our Mykonos villas have been strictly selected to respond in our guests’ high expectations. Our brand was steadily built upon our philosophy for extraordinary services, our love for our island and our intentions of assisting our villa guests in discovering the allure of Mykonos themselves. Thus, we are committed in our constant improvement and in providing our lavish services with passion, appreciation and honor to our guests and associates. Beside our established services and accommodations, what makes us unique is our distinctive approach to our guests. We intend to treat you in a unique, personalized way, to ensure that your vacation will be planned according to your personal lifestyle and wishes. 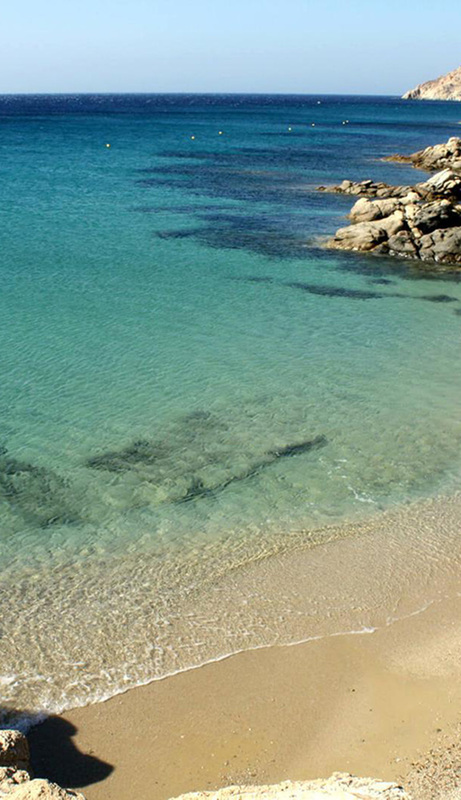 Thus, the desired result is your amazing, unforgettable overall experience of your Mykonos vacation.